Cluster beans / Kothavarangai is a very healthy and easily available vegetable. 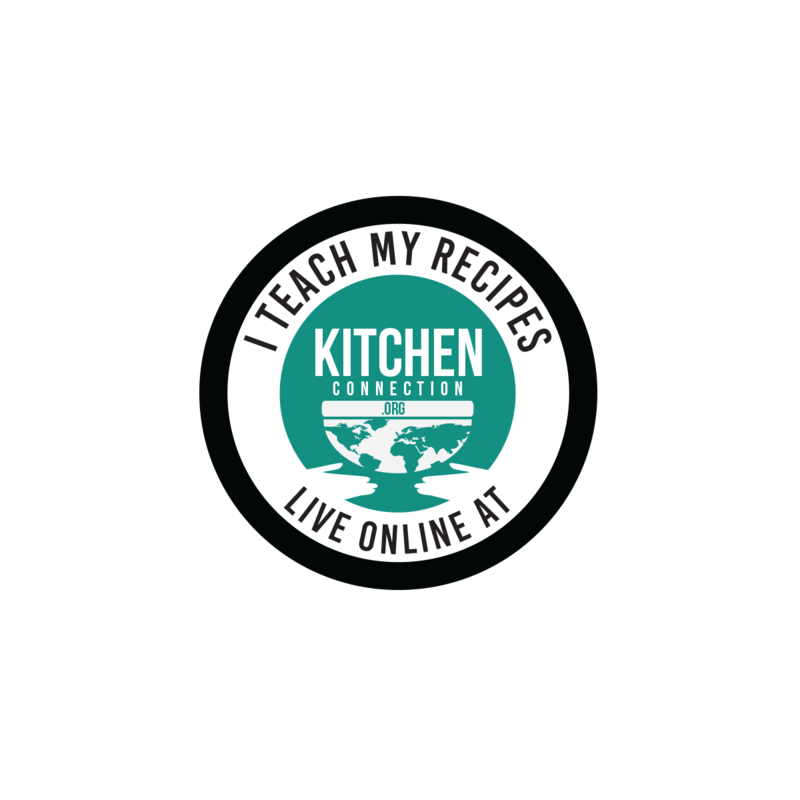 But it is used less because we have only a few recipes like Kothavarai Usuli. 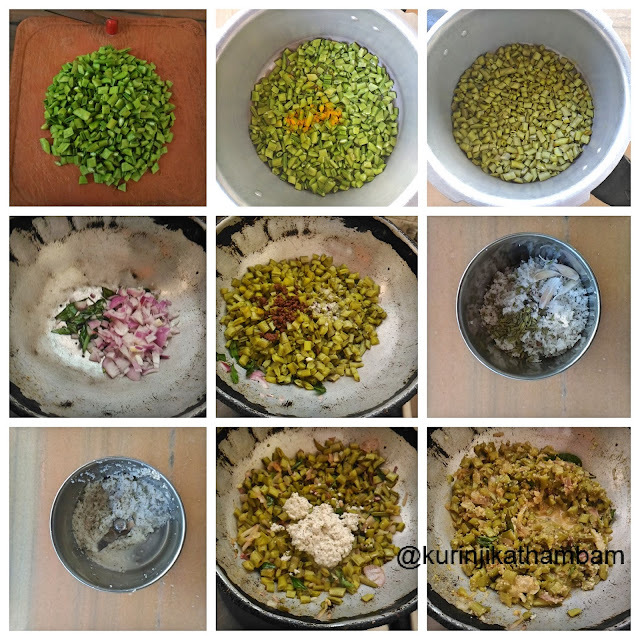 In this recipe I have prepared a masala with cluster beans which goes well with all types of Rice dishes. If you add little bit water you have a gravy which goes well with chapathi. 1. Cut the head and tail of the cluster beans. Wash them well and drain the water completely. Cut them into small pieces. 2. Pressure cook them with turmeric powder and little water for 1 whistle in medium flame. 3. Meanwhile, grind the coconut, garlic pods and aniseeds into a fine paste with little water using the mixie. 4. Heat the oil in a pan, add mustard seeds and wait for popping. Then add the curry leaves and fry for few seconds. 5. Add chopped onion and sauté till they become translucent. 6. Now add the cooked cluster beans with cooked water ( from 2), sambar powder and salt. Mix them well and cook for 2 mins. 7. Then add the ground paste (from 3) and mix them well. Close the lid of the pan and cook till the masala becomes dry. 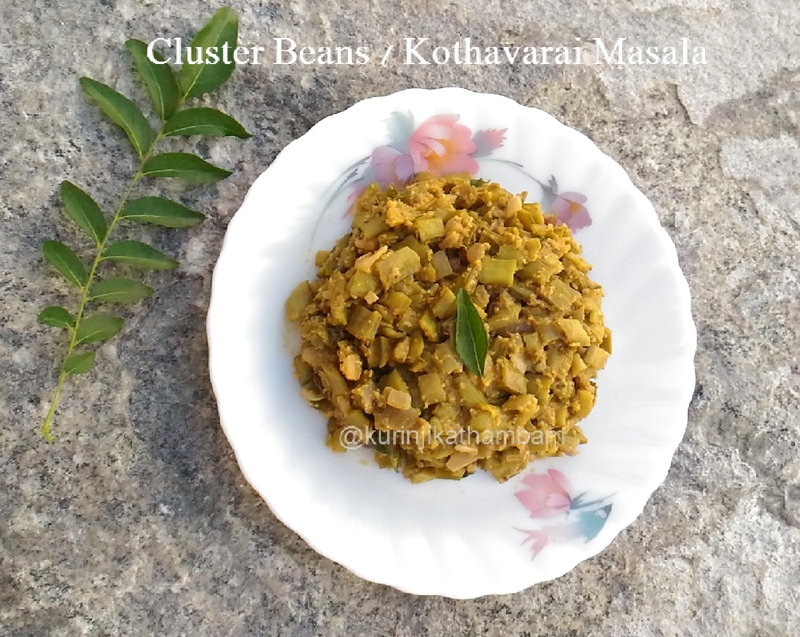 Tasty and aromatic cluter beans / kothavarai masala is ready to serve. Serve with rice or roti. You can also add red chilli powder instead of sambar powder. Click here for more poriyal recipes.